This Valentine's Day, take your special someone's breath away. 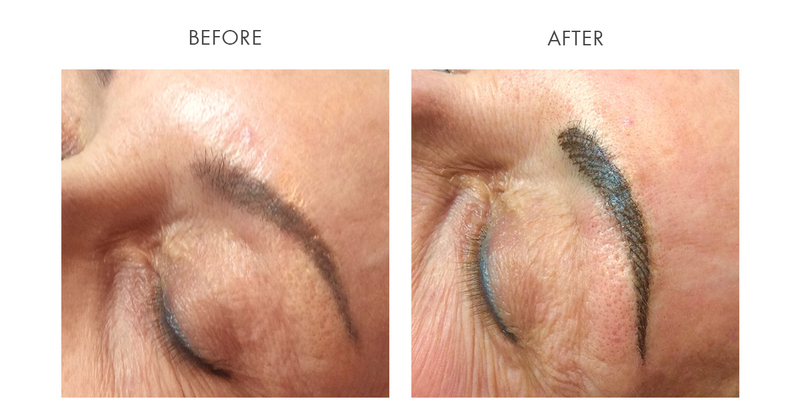 Give them one of our signature skin treatments and let us help them look and feel beautiful. She will enjoy a deluxe European facial with hot aromatic towels ,a relaxing facial massage and a custom mask. A manicure with hot glove treatment and a deluxe pedicure are the finishing touches. This facial will immediately put the glow back into your skin,with microdermabrasion, exfoliating enzymes and a facelift peel. The skin is instantly hydrated with a biomolecular mask, leaving the skin radiant and hydrated. What better way to show the special people in your life how much they mean to you than with some much-needed pampering? With Instant Gift Certificates! It’s easy and convenient for you to share the love with your friends and family, even at the last minute. Purchase your Instant Gift Certificate and book your appointment today. 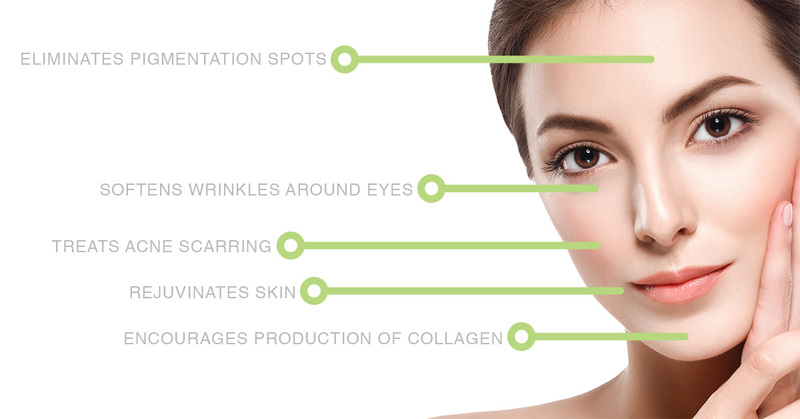 Sometimes you are not ready for injectibles, laser treatments or surgery, Try Microneedling. Microneedling triggers skin cells to intensify the release of its own collagen and elastin to ease years from your skin. It allows for deeper penetration of treatment solutions for optimal benefits, treating your skin from inside out and outside in. These specials will light up your season!! 10% off our favorite spa packages! Pampered Lady $155.00 value for $139.50! Restoration Package $125.00 value for $112.00! European Facial with Microdermabrasion treatment $185.00 value for $166.00! Don't forget this year we have made it easy to find the perfect gift for anyone on your list and you don't have to fight the crowds! Our Instant Gift Certificates make gift giving easy. Everyone wants to be pampered and a gift certificate for one of our luxurious skin treatments will do just that! 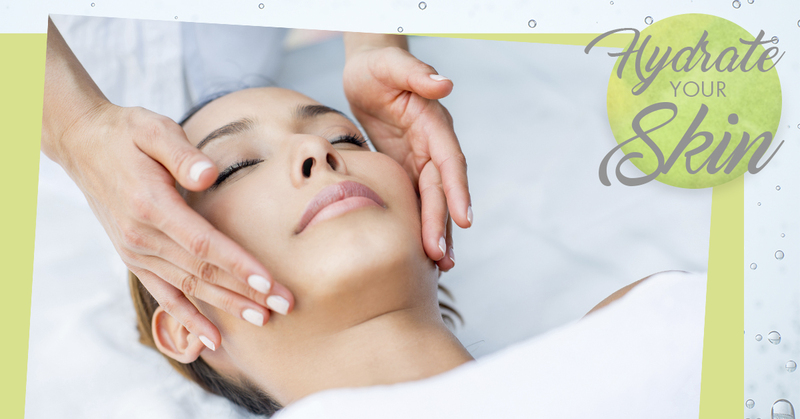 $150 Microdermabrasion, light therapy and a concentrated sheet mask to nourish the skin. (expires 1/30/2019) Can not be combined with any other promotion. This past weekend, I attended the International Spa and Esthetics Convention in Fort Lauderdale, FL. I had the amazing opportunity to see what is new in the skincare industry and take advanced classes from leading experts. One class I was fortunate enough to take and be certified in was 'Advanced treatments of Hyperpigmentation'. Another class I attended that was very educational was 'Proper Microneedling Protocols' which further educated me on best practices to treat different skin conditions. I am very excited to now offer my clients Microneedling, a safe, non invasive procedure with extremely effective results. 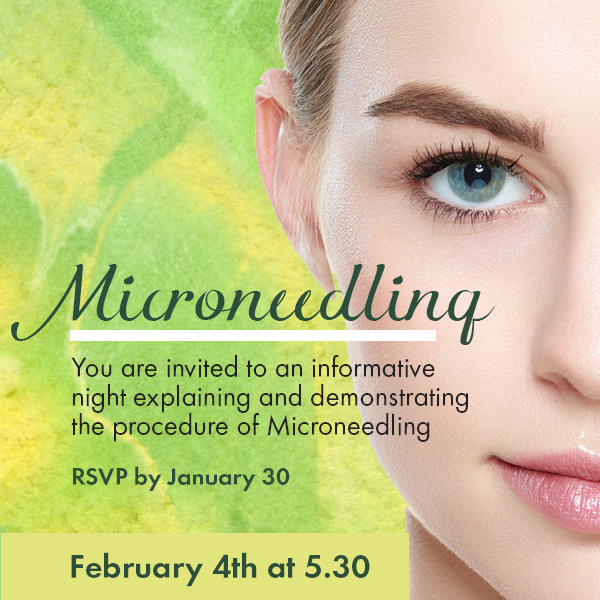 You are invited to a Happy Hour October 9th 5.30pm - 6.30pm to learn all about the Microneedling technique. This is a great opportunity to see a video explaning the procedure and have any questions answered. R.S.V.P. by October 5th. It is always exciting to find new products to offer in the Spa. This year I purchased a wonderful line of body lotions, scrubs, and soaps that smell and feel luxurious. In my skincare line, I now offer a 10% and 20% vitamin C serum to boost your skincare regimen. Ask me about the anti-aging benefits of Vitamin C.
Image Skincare has 2 new mineral sunscreen sprays for the body, that are light and quickly absorbed into the skin, perfect for every day use. 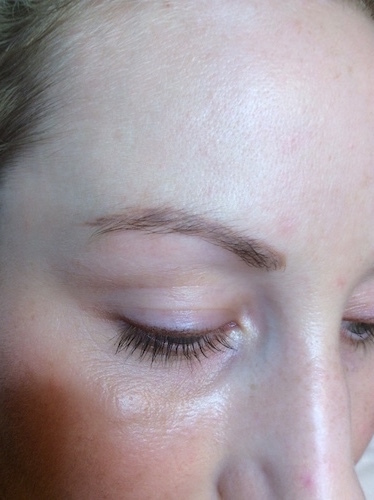 Outer image Spa now offers a CAVIAR COMPLEX for the eyes. 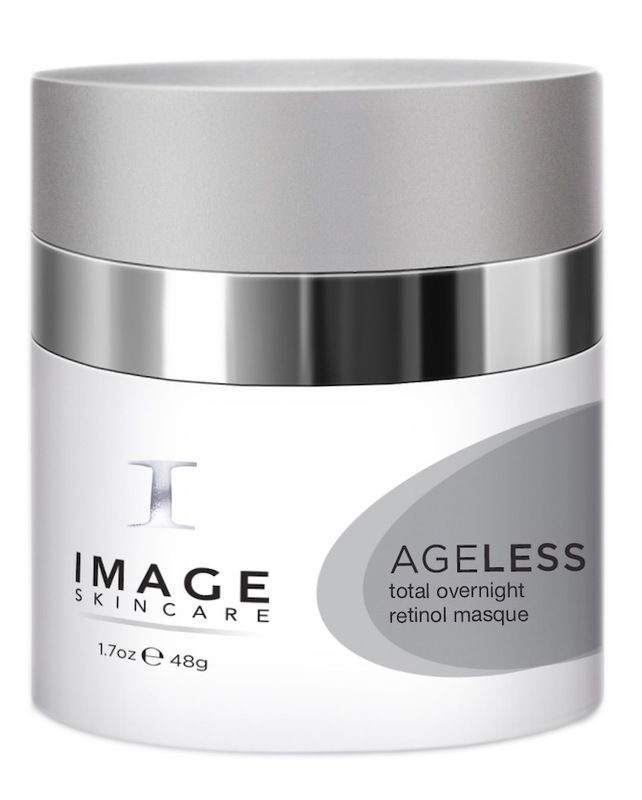 This serum has moisturizing and lifting effects, stimulates cell regeneration processes, and smoothes out wrinkles. Caviar extract saturates the eye area with vitamins amd microelements, promotes intensive nourishment, regeneration and skin rejuvenation. Add this wonder treatment to your next facial treatment for $25 a savings of $10. It’s her time to relax and be pampered! 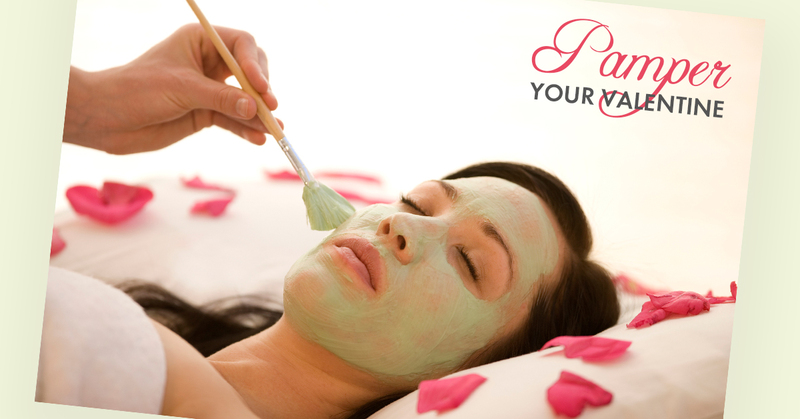 This year, show Mom how beautiful she really is, with the gift of one of our signature skin treatments or spa packages. Plant derived stem-cells increases firmness by 30% in 30 days. Marine filling spheres plump the skin. resulting in less irritation and superior results. Wake up with glowing skin!! I am very excited to see improvement in skin condition and decrease in wrinkles after just three treatments of Microneedling.The delivery of active serums deeper into the skin is an additional advantage of Microneedling. 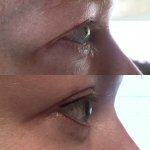 I am looking forward to seeing the results after six treatments.